I'm all about the retro vibes happening right now with this tee. 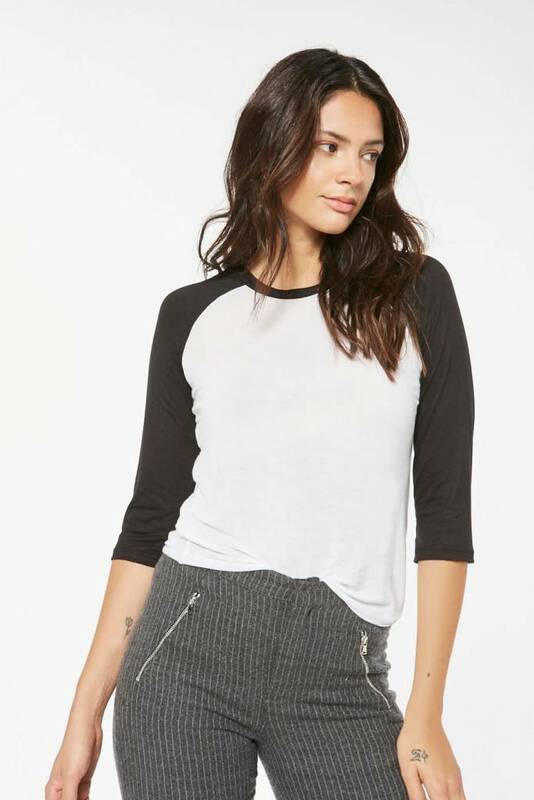 Our Baseball Feels Tee is super soft and lightweight with contrasting 3/4 length sleeve and neckline banding. A little sporty, a lot of fashion. Tiffany and Sophia are wearing a size small.